Peppermint Foot Lotion is rated 4.7 out of 5 by 132. 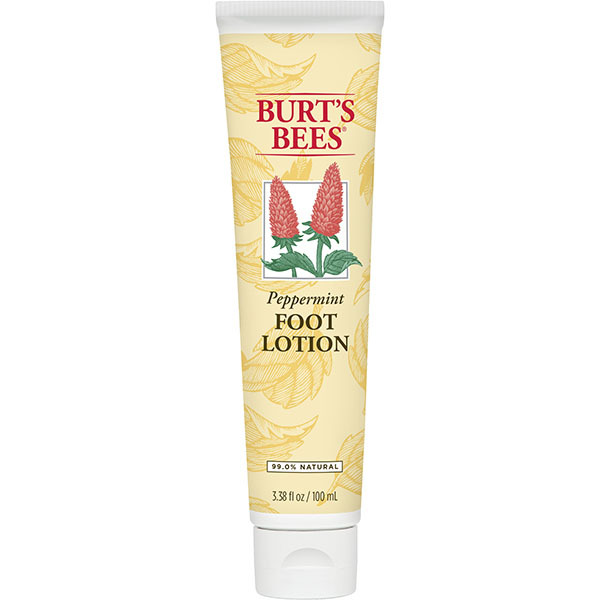 Give hard-working feet a refreshing dose of moisture with this Peppermint-infused foot lotion. The cool sensation will revive tired feet while Glycerin and Coconut Oil soften rough calluses to leave your feet smooth and ready for the next adventure. Made from the Mediterranean peppermint plant, Peppermint Oil is famous for its cooling effect on skin. You can thank the Menthol for that. Great in baths and facial treatments, it cleanses and tones while helping purify your skin and pores. Ingredients: water, helianthus annuus (sunflower) seed oil, glycerin, cocos nucifera (coconut) oil, beeswax, mentha piperita (peppermint) oil, stearic acid, hamamelis virginiana (witch hazel) water, menthol, sodium bicarbonatemelaleuca alternifolia (tea tree) leaf oil, petroselinum sativum (parsley) extract, triticum vulgare (wheat) germ oil, citrus aurantium dulcis (orange) peel wax, rosmarinus officinalis (rosemary) leaf extract, tocopherol sucrose stearate, glucose, xanthan gum, glycine soja (soybean) oil, canola oil, sodium borate, sodium chloride, glucose oxidase, lactoperoxidase, limonene. Apply daily to the tops and soles of the feet. 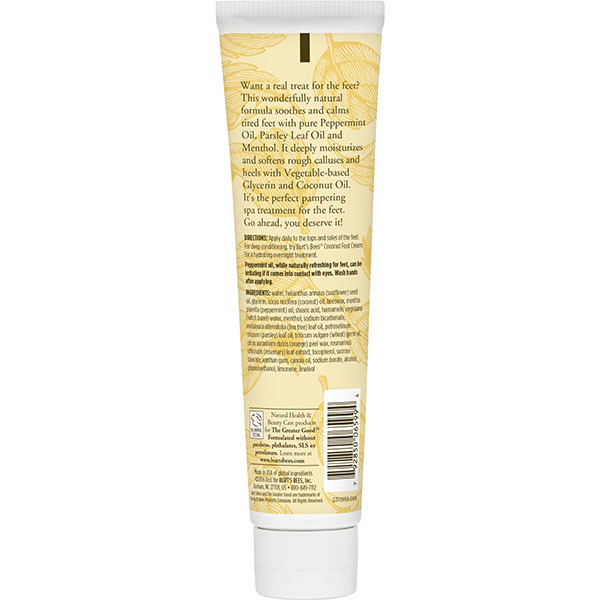 For deep conditioning, try Burt’s Bees® Coconut Foot Cream for a hydrating overnight treatment. 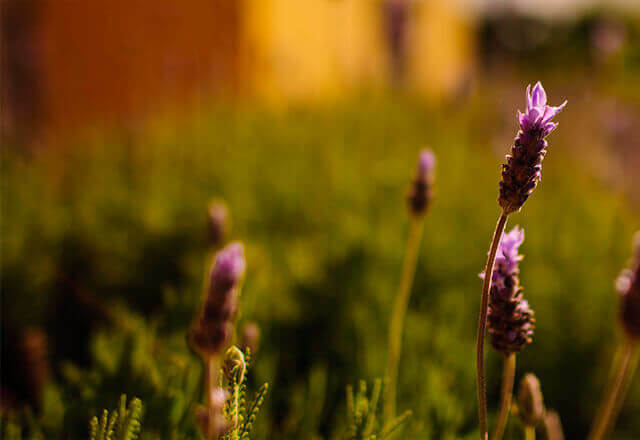 Peppermint oil, while naturally refreshing for feet, can be irritating if it comes into contact with eyes. Wash hands after applying. Does this product work to treat callused feet? For me, yes. There is no such thing as a product that you can put on once and like magic dry cracked feet are supple and smooth. However my feet can get so dry and cracked that the callouses literally catch my sheet, not even a week after using this product that was no problem. The longer you use it the better it gets, you'll notice a larger diffrence between week 4 to week 5 then you will from when you started to the first week. I always put it on at night and then put socks on to sleep so the lotion doesn't wear off. I'd also say be careful when applying it because a little bit goes a long way.